Strong communication skills are regarded as one of the main qualities essential in a good leader. And while face-to-face communication is still considered the most powerful way to get a message across, the reality is this is often not practical, efficient or appropriate. Email is no longer a reliable tool for top-down messaging. Employees suffer from message fatigue in this over-used channel. Leadership communications are getting lost in the noise, and essential information is failing to cascade. Supporting your leader from being a ho-hum communicator to one whose message has lasting impact, converting the most sceptical of staff, requires a well-rounded communication approach. Unleash the power of vibrant, unmissable and measurable communication channels to ensure your leadership messages are seen, read and actioned! New and experienced leaders all stand to benefit from better cut-through of their communications using SnapComms platform. Different formats match your needs at every step – authoritative for important announcements, sustainable for reinforcement, and interactive for garnering feedback. 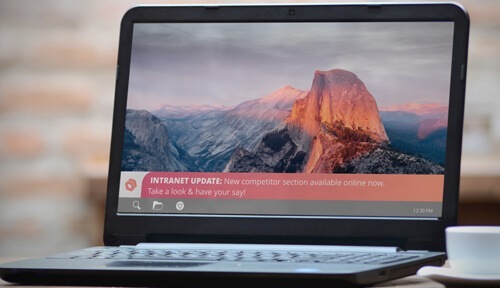 Desktop alerts provide 100% assurance of messages being seen by all staff – no more excuses. 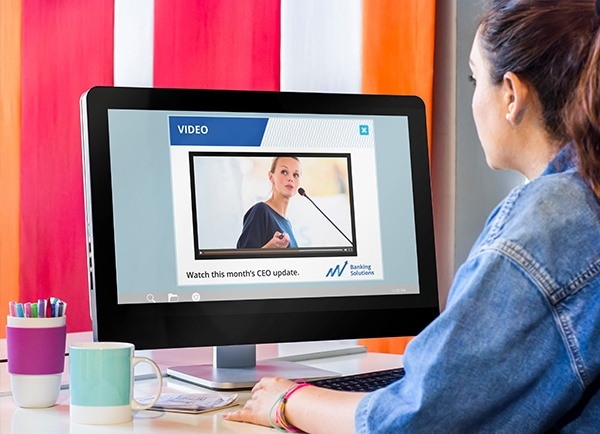 Video alerts are effective when in-person communication isn’t possible. Newsletters circulate updates around key strategic imperatives, progress to date, and future goals. Great for including human-interest stories to support goals. Screensavers can promote executive activities, such as the CEOs hotline, next town hall meeting, or Ask Me Anything sessions. Desktop tickers provide regular updates, links to new leadership content on your internal sites, or reminders about action required. Broadcast reminder messages via Screensavers, Tickers and Lock Screen on strategic intent to keep staff focused on priorities. Publish RSVPs and reminder notifications to increase employee attendance rates at Executive briefings. The SnapComms platform includes features designed to bolster the effectiveness of your leadership communications. Use message escalation or message acknowledgement capabilities to achieve 100% readership. Requiring staff to acknowledge readership provides greater assurance of message understanding. The targeting feature allows you to target high priority staff groups with invites first. Then, once key people have a chance to register for an executive communication, open up the remaining opportunities for other employees. The RSVP alert tool allows you to ask staff to choose the leadership communication session they want to attend. You can also include additional questions such as catering or transport needs or to gather questions/ issues employees would like executives to address. Outlook integration: when your employees RSVPs, the tool provides the option for staff to enter the appointment in their Outlook calendar. Planning and reporting: Real-time reporting tools show the employees registered to attend each session. This helps to plan logistics (e.g. room sizes and catering) and lets you close off specific time slots as rooms fill. Set up executive communications in advance to prepare for, and respond quickly to, staff feedback. If it’s a significant change communication, pre-schedule messages to ensure that employees hear about changes simultaneously. Repeat messages that have not been read, using recurrence and scheduling settings to deliver at specific dates and times for maximum visibility and impact. 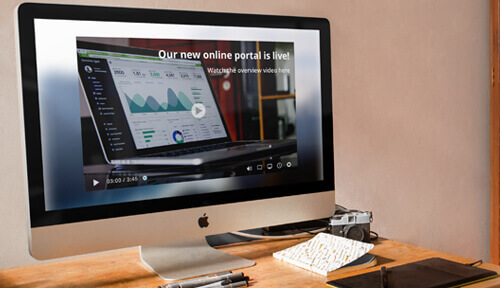 Use real time reporting to identify readership rates and where necessary use message escalation or message acknowledgement capabilities to achieve complete cut-through, company-wide. 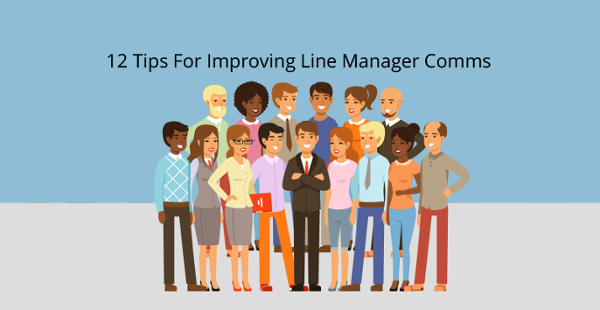 Build confidence and performance with these 12 tips for all line managers.